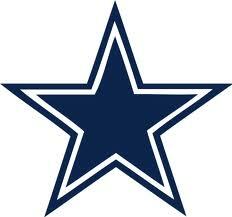 Ladies and gentlemen, the 2010-11 Dallas Cowboys, predicted by many to be a Superbowl team, are 1-4! The Minnesota Vikings had a 24-point lead against the Dallas Cowboys yesterday with less than two minutes left and the ball on the Dallas Cowboys’ 11-yard line on Sunday in the NFL playoffs. Their decision to continue playing the game was not appreciated by the losers. Big Blue: Bigger than Big D Head-to-Head in 2009!!! If the Giants do nothing else with this season, at least they’ll have the glory of defeating Dallas. Considering the Giants had the day off, a lot went their way. Not only did the team not lose, but the Eagles and Cowboys did… which is always nice.